Digital pressure sensor has a LCD screen with backlight and power supply DC 24V/12V, can output current signal (4-20mA/0-20mA), voltage signal (0-5V/1-5V/0-10V) or RS485 signal. 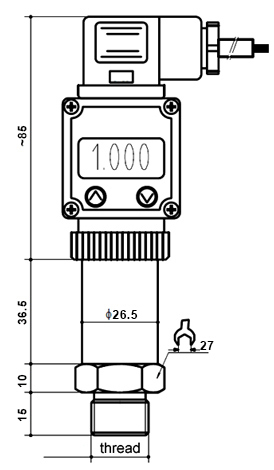 Pressure sensor has small size, light weight, high anti-vibration and anti-shock performance, measuring range -0.1~100MPa/ -1~1000bar/ -14~14503psi, medium temperature -40~+60℃ (-40~+140℉), for hydraulic/steam/air pressure/high-temperature liquid measurement. 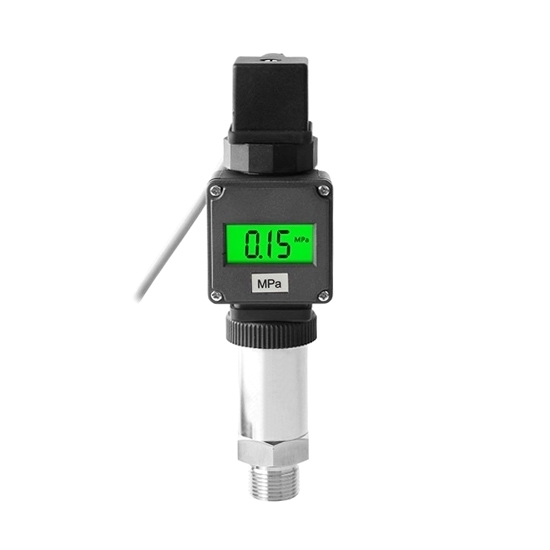 Pressure sensor for hydraulic/steam/air pressure measurement has optional output signal, such as 4-20mA/0-20mA/0-5V/1-5V/0-10V/RS485. Application: Pressure sensor is widely used in process control, aerospace, automotive, medical equipment, HVAC and other fields. Generally, within the linear range of sensor, it is better that the sensitivity of pressure sensor is as high as possible. Only when the sensitivity is high, the value of output signal corresponding to the measured change is relatively large, which is conducive to signal processing. 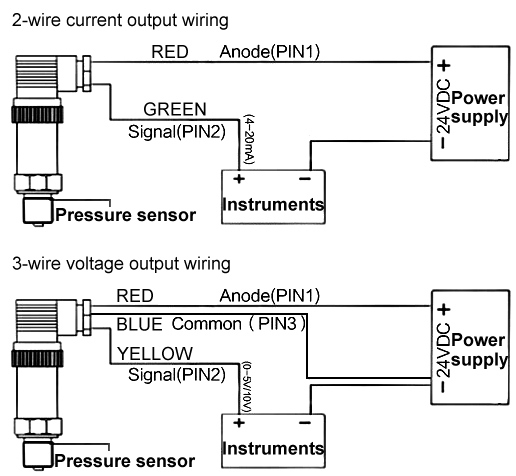 However, it should be noted that if the sensitivity of pressure sensor is too high, the external noise which is irrelevant to the measurement is easy to mix in, which will also be amplified by the amplification system, thus affecting the measurement accuracy. Therefore, it is required that the digital pressure sensor itself should have a high signal noise ratio to minimize the interference signal introduction from the outside. The sensitivity of digital pressure sensor is directional. When the measured object is a single vector and has high directional requirements, the sensor with low sensitivity in other directions should be selected. If the measured vector is a multi-dimensional vector, it is better to select the digital pressure sensor with smaller cross sensitivity.